Putting Hay in the barn. 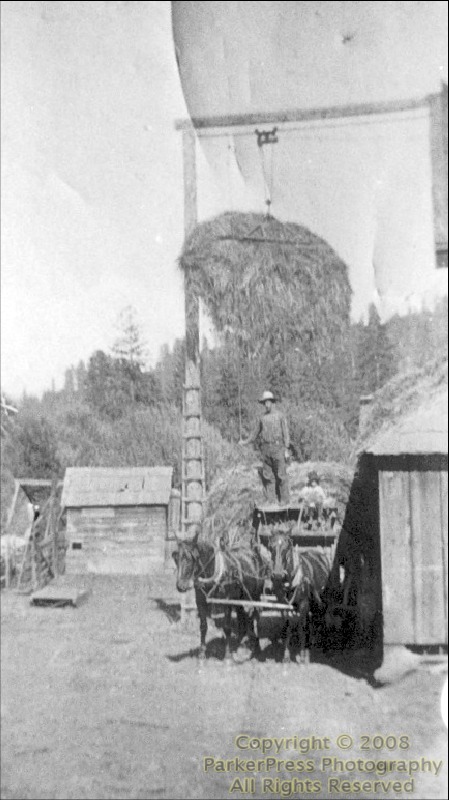 The hay was fastened onto a rope attached to the pole. It was then pulled up and over into the barn opening and could be pulled back as far into the loft as necessary.